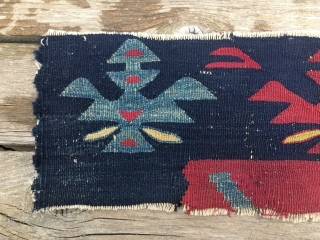 Sarkoy kilim fragment. 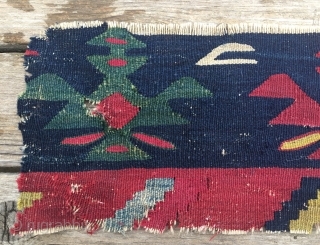 Cm 18x55. 2nd half 19h c. Very fine weave. Wonderful colors. 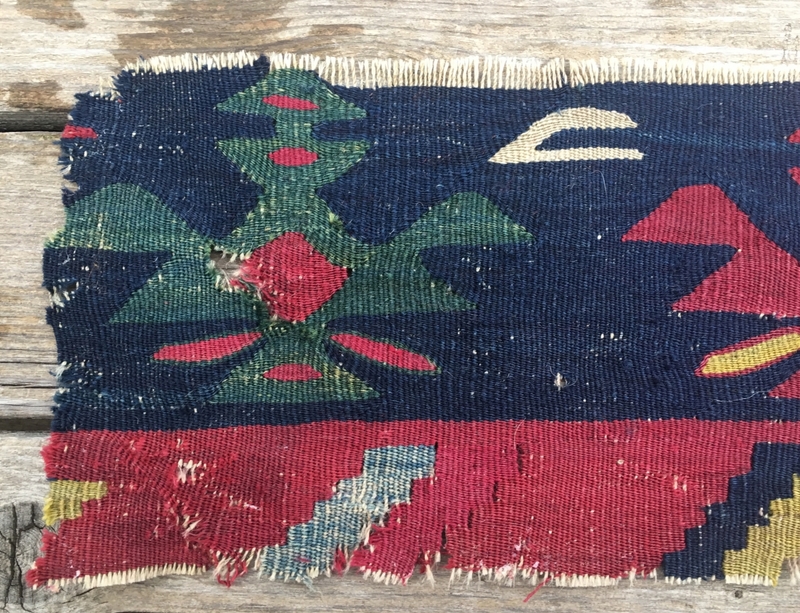 Long story behind this fragment: about 40 years ago 2 guys from Serbia found/bought a wooden chest in a Bulgarian castle with several kilims and other textiles. All were in bad condition mainly due to the moth problem. 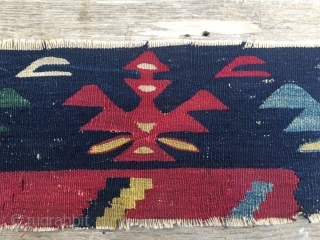 i bought several fragments: here is one with three lovely typical Sarkoy figures.